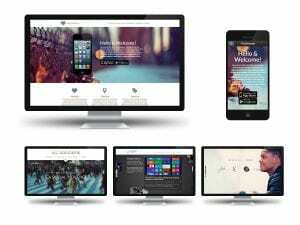 Strikingly Site Builder Review – Strikingly Beautiful or Not So Much? A lot of people who want to build websites want to stick to single page designs. This has its own particular benefits, as well as having some disadvantages. One of the biggest pros is that it makes people stop and pay attention, instead of enabling people to skip important messages because they read diagonally. If you are insistent in building a single page website, you may want to try Strikingly as your website builder. This is a builder that makes designing a website about as easy as opening a Facebook account. They have recently released their fourth version, which means you can now integrate a shopping cart, add a blog, and change template whenever you want. These are serious improvements, in other words. Let’s take a look at what the fuss is all about. It is incredibly easy to use. Even the fourth version sticks to the original Strikingly simple designs. The editor is very user friendly and highly intuitive, which means you can do everything you could possibly want to do, all from a single screen. You don’t have to be an experience designer or coder either. All you need to be able to do is click on things, which allows you to edit them, and then you’re ready to publish. An added benefit is that there are lots of really cool, professional templates that you can choose from, so you literally don’t have to do anything in terms of design. Strikingly is mobile optimized as standard. It is not really a mobile site builder, but all pages are nevertheless guaranteed to look perfect regardless of the screen size that they are placed on. It looks the same whether you view it on a mobile phone or a desktop PC, in other words. This is because Strikingly only adds responsive templates to its designs, adjusting automatically to the browser that the page is viewed on. It comes with a huge knowledge base. Strikingly, over the years, has built up a true library of information, which means it is incredibly easy to find out anything you need to know about their service. At present, some 160 articles are placed on their website, which means that if you do have a question, the answer is likely to be there. One page design is useful, but not always. Really, they are suitable for business card websites and small portfolio. But if you want to build a large webstore, a blog full of features, or anything with a lot of content, this isn’t for you. SEO is usually not very good on one page sites, because you can’t link to specific information, since it’s all on one page. Its simplicity is a benefit for some people, but those with a little bit of advanced knowledge will find it too simple. This is, again, due to the limitations of it being a single page site builder. Even on the paid plans, branding is not always removed. That may not be a huge issue, but to the savvy internet surfer, it will instantly be clear that the site is made by Strikingly. I know of no other website builder that doesn’t remove their personal branding on paid plans, and this is really a strike against them. Templates that look beautiful, can be fully customized, and are mobile optimized. The ability to add photographs using the Super Speed uploader. The option to add video backgrounds. A minimum of 5Gb bandwidth and an unlimited maximum. Email included as standard in the Pro package. A unique style, since it is one page. Clearly, just because you are limited to a single page does not mean you are also limited in terms of your content or design. You can add as many photographs as you want, change the text style, size, and color, and more. You can create a website that will be divided into sections rather than pages. This means that users can scroll through information, finding the information they want to see. Each section is linked to from the top, which means readers can instantly be sent to the area they are interested in. There is also a ‘return to top’ function, for easy scrolling. The ecommerce functionality is also very important, particularly if you want to use a website to grow your online business. You can use the Simple Store, which allows you to sell up to 20 products, depending on which package you picked. You can also add payment gateways, product variations, pre-orders, and shipping fees. As an added bonus, you don’t have to pay transaction fees to Strikingly. The blog can easily be added to your homepage. Once you do, posts and individual pages can be linked. You don’t have to follow your site’s template for your blog either. Rather, each page has its own style, so you can really let your creativity shine here. The way the blog is organized is somewhat unconventional, however, so you will have to get used to it. However, you can integrate your blog with Disqus, although not with Facebook, and you can allow comments. Plus, you can create drafts of any post you create, enabling you to make them live later. It won’t do this automatically, however. Interestingly, all the websites you create through Strikingly come with reliable, fast hosting included as standard. That means you don’t have to worry about that at all. And when you pay for your account, you can get as much as 50Gb of bandwidth per month, as well as your very own domain name. If you choose the free plan, you will get a Strikingly sub domain. You can also add various widgets, depending on the type of plan you have signed up for. Through these widgets, you can create a really unique style. Widgets include such things as social media integration, PayPal, maps, and more. As stated previously, the sites are fully mobile optimized, which is vital in the world we live in. Mobile responsiveness is vital to ensure you can get found. Plus, you can include things like ‘Click to Call’, enabling your mobile customers to contact you straight away. Last but not least, all templates are already SEO optimized. This means that you can immediately have your metatags and keywords taken care of. That said, SEO is never the strongest point of single page websites. There are currently 11 templates available through Strikingly. Interestingly, they had 13 in previous years, meaning that they have removed some options. The reason for this appears to be that they only want to offer the highest possible quality. The 11 templates are contemporary and fresh and clearly designed for freelancers and startup. The theme styles can be customized, although not much. If you upgrade to Pro, you can set a custom color, for instance. Each theme is completely mobile friendly, which is a great pro. Strikingly is has a fully functional app for iOS, meaning you can view analytics and edit your website. You can use simple ecommerce tools, such as setting shipping options, product variations, and coupon codes. The code editor is very simple, however, and you can only give percentage discounts, rather than amounts. Plus, the coupons have to be set for everything, or for single products, rather than for categories or product type. There is no tax system, you can’t sell digital products, and you can’t install product categories. Lastly, you can’t edit or customize the email notifications your customers receive, although you can preview them. The free account gives you 5Gb of bandwidth per month. You will be a subpage of Strikingly itself, which means it shows up in your domain name. With the free plan, you can sell one product using the Simple Store. Signing up takes just a few seconds, only requiring you to enter your email address. The Limited package is perfect for small businesses. At $8 per month, billed for a full year ($96), it is very affordable. You will receive 50Gb of bandwidth per month, as well as your own domain and email address. Plus, you can use the full website builder. In terms of ecommerce, you can sell five products. Both the paid for plans come with a 14 day free trial, meaning you can try the site builder and all associated tools risk free. There is a really good FAQ and help section on the Strikingly website, divided into dozens of categories. These range from ecommerce to mobile features. Help is available for formatting, design, web building questions. Strikingly has an extensive help and FAQ section on their site, with over a dozen categories on everything from mobile features to eCommerce. The help area addresses design, formatting and web building questions. You can also get technical assistance. The help area is very easy to search for specific questions, and new articles and blogs are regularly posted to help you with specific issues or to discuss individual features. The information available on the site is truly invaluable, and one of the coolest things is the Idea Forum, where you can work together with others to share design tricks and ideas. You can also email support staff directly. They have a message box available on the website and will reply to your questions with 24 hours. Uniquely, there is a screenshot feature on the platform, which means you can easily send an image of the issue you are facing. Unfortunately, there is no direct phone number, nor is there any live chat availability. Strikingly is truly innovative with their one page design. It is an excellent choice for beginners who want to create a website without any great difficulty. It comes with various cool features for ecommerce and is fully mobile responsive. Prices are competitive and there are no hidden catches or fees, so it is quite clear why Strikingly is as popular as it is. If you want a website builder that doesn’t have any frills and is simple and easy to use, or you are trying to build an online business card, simple blog, or portfolio, then this is the option for you. It is a truly unique service, which means you will instantly create something that stands out. However, you have to be realistic in as such that it is really simplistic, so if you want to build something more advanced, you might struggle with this one. That said, the 14 day trial means that you can try Strikingly without any risk and decide for yourself whether or not you like it before signing up in full. Strikingly offers a really easy website builder. You can preview your entire site after you have modified your template to suit your needs. However, there are not many template choices available. While Strikingly does offer a free plan, it doesn't give you the opportunity to use all of the features. Overall, however, you can very easily build some pretty cool sites, so long as you don't want to customize too much.